As a fancier we are susceptible to new ideas and innovations in pigeon racing. It is by chance that we stumbled across a product that dozens of fanciers were already talking about. 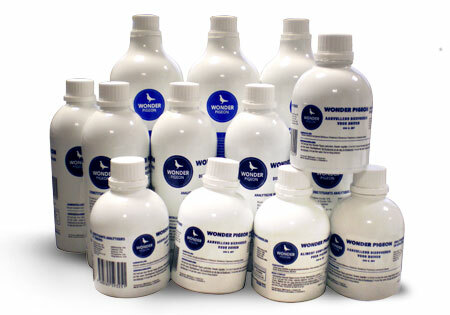 This product called Wonder Pigeon was invented in Italy and its formula is patented worldwide. 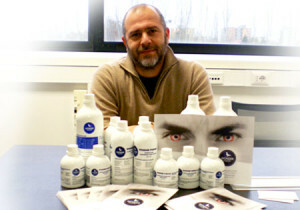 Fanciers from Italy and abroad who have used the product in the past year are thrilled about its effect. Let’s talk to Cristiano Paltrinieri, Italian fancier and founder of the company that markets Wonder Pigeon. Cristiano, tell us how Wonder Pigeon was born! Think of a nonexistent product which speeds recovery, minimises the use of antibiotics and improves the functioning of the gut in terms of absorption of liquids and minerals essential for the pigeon’s health. In short, it is a product which on a stand-alone basis makes life easier for the fancier. In Italy, where pigeon racing is merely a hobby, it would be every breeder’s dream to have it. I accidentally came across a veterinarian occupied with finding solutions to intestinal problems of livestock throughout the world and met up with a company which advertised for this tremendous product which was developed after testing and studying in collaboration with many universities around the world. The company eventually obtained a patent on the formula. Do test it on your pigeons and modify the formula to maximise the natural antibacterial effect and diminish the fat component. In the end, you will have an amazing product which limits the work concerning coupling, laying, breeding and racing. Great stuff but what exactly is Wonder Pigeon? Wonder Pigeon is not just another product. It is a revolution in the approach to intestinal health. Its formula, which combines molecules of glycerol (fat) acids from natural antibacterial property, is suited for blending the product with drinking water and the product has a neutral PH level. Dozens of studies and tests prove this, especially those conducted in Belgian and Dutch lofts in the 2014 season. How to preserve? At room temperature. Stability and shelf life? Two years minimum. Level of effectiveness? Uninterrupted and homogeneous in the course of the day with a single preparation. Interaction with other products? It can be mixed as a whole or it can be used in drinking water or in the grains with vitamins, probiotics, prebiotics, minerals, tonics and even antibiotics. Inurement? The formula makes it stay effective during the entire year and bacteria are not given the chance to acquire resistance. In short, us Italian fanciers, as an association of hobbyists, have had the good fortune to get to know and adjust this product for racing pigeons. In Belgium and the Netherlands, we had the privilege of checking its value and the revolutionary approach, leading to tremendous results. We may say that since the advent of the Wonder Pigeon, pigeon racing has entered a new era. Hundreds of pigeon fanciers and tens of thousands of pigeons are the proof. Just to give you an idea, let’s have a look at the youngsters’ national race from San Severo (490 km) held in October 2013. I myself basketed 24 youngsters and won 10 prizes in the first 1% starting from 5th position against 2,505 pigeons (18 prizes in total, all in the first 10%). In 2014, Stella Rossa and Silvestri Loft, in fact the bests lofts in Italy, used Wonder Pigeon in breeding, in the youngster loft and during the racing season on a daily basis. They achieved tremendous results with Stella Rossa now competing for the title of ‘Best Loft of Italy’ and Silvestri Loft being in the running for the 1st Italian Ace Bird Cat. A and Cat. D. However, the 1st and 2nd place in the Emilian Championship, the toughest competition of Italy, was the icing on the cake. 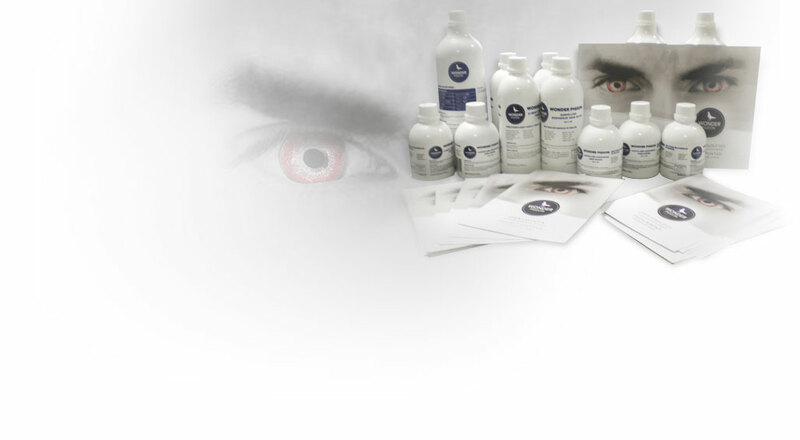 We think that the effectiveness of this natural product is the secret of its strength. The way we got to know the product is important as well: There was not a single company that was seeking to sell products, I just had the opportunity to test something new, a leap into the future. To get the pigeon world to understand that this is a viable alternative and to explain its daily advantages and its effectiveness in all stages of a pigeon’s life, we have chosen to focus on a single product for the time being. However, the journey has only just begun. The famous Belgian vet Piet Blancke helped us test the product in Belgium and the Netherlands in 2014. Together with him and the staff of Silo, the company that manufactures the product, the formula was constantly refined by collecting data and information. We have put time and effort in making Wonder Pigeon available to fanciers. And it is the fanciers and their pigeons that will help refine the formula even further by telling us what their approach and results are. Racing pigeons is difficult, challenging and expensive. Wonder Pigeon is certainly not a solution to these ‘problems’ but it is definitely a great contribution to our hobby.